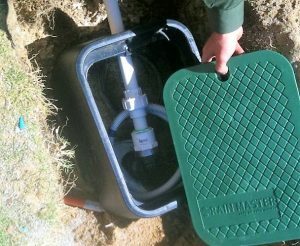 How is a bore connected to an existing reticulation system currently fed from mains water supply? 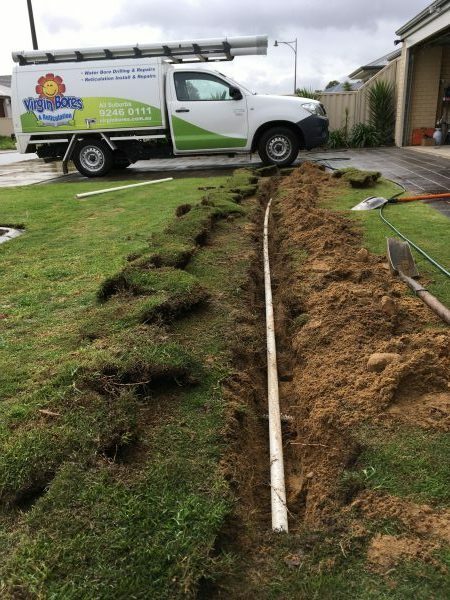 The following scenario covers connecting a bore in to a typical Perth reticulation system. There are though, many variations, twists and turns from this common scenario. Many DIY reticulation systems can be far from what is expected. For further advice call us on 9246 0111. We are here to help. Normally Virgin Bores would happily connect your reticulation system to your newly drilled bore as a “turn key” job making sure all is working as it should on handover. The explanation below helps if you choose to DIY and/or have your own electrician and retic man finish things off. 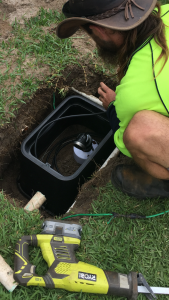 Disconnecting existing reticulation from mains supply -Firstly we need to understand how the current reticulation system operates. If the existing mains-fed retic system complies with regulations and best practice it is most likely that the water is fed from one point. This one point should be about a metre from the water meter where a licensed plumber had “cut-in” to the mains feed. Where the reticulation was connected to mains supply is where it now where it must be disconnected. There should be a manual isolation valve there along with a regulation back-flow prevention device. Downstream of that should be a master solenoid valve. This master valve is operated by the reticulation controller to switch on and allow water to flow each time an individual station is started from the reticulation controller. When a reticulation system is to be connected in to a new bore this point is where the retic system must be disconnected from mains supply to absolutely make certain no bore water has the opportunity to flow back into the mains water supply. Although it would work, it is not sufficient to simply disconnect the master valve and turn off the manual isolation valve. Either of these could potentially fail in the future or be accidentally turned back on. It is necessary to also actually physically disconnect by cutting and capping the pipe at this point. Starting the bore pump– Now that the master valve is disconnected we can start thinking of it, as in theoretical function (but not location) being replaced by the new bore pump. Each time the controller now starts we want the 24v feed that previously operated the master valve to instead now operate a 24 volt relay that then initiates mains electrical power to the pump start. The electrician who is connecting the bore will be the one who connects this 24 volt feed to start the relay. If the pump is single phase he would typically mount the relay in the 240v start box. If it is a 3 phase pump then normally the 415v DOL starter would be specified as one that has a 24v input. To get the 24v starting current from the retic controller to the new relay the 2 low voltage wires are usually run direct from the reticulation controller to the relay. If more convenient they could be intercepted from the master valve, as this of course is now disconnected and redundant. Remember any mains electrical work must be done by a licensed electrician. 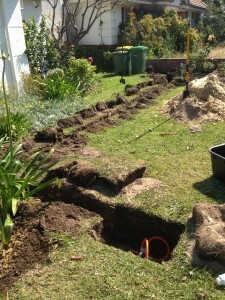 Connecting new bore to existing reticulation. 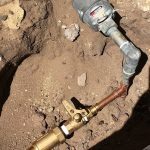 Connecting the bore water to the existing retic system– Contrary to first thoughts, the bore water piping does not necessarily have to be connected in to the retic system at the same spot near the water meter. The bore water can be connected in (“tee’d” in) to the existing reticulation system anywhere on the mainline. The mainline of a retic system is the pipes that go downstream from the now disconnected master solenoid valve near the water meter all the way to any of the individual solenoid valves that operate any of the stations (zones). Once connected in, the water will then again flow to each station’s solenoid valve, although in some cases it may now be travelling along the mainline in the reverse direction. It will of course not pass where the pipe has been physically cut and capped off near the now disconnected master solenoid valve. Of course there can be variations to the above as occasionally we find the existing retic had been irregularly plumbed in to the mains water at more than one point. Balancing stations– Because the flow from the new bore will usually be vastly more than was provided from the mains water supply, it will be necessary to compensate for this extra flow. 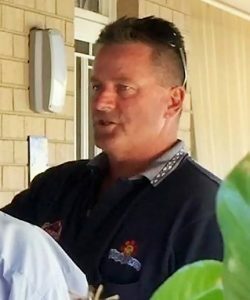 For simplicities sake, let’s say the flow from the mains water supply had been 40 litres per minute and the new bore is delivering 80 lpm then it’s simply a matter of getting two stations to operate at once. This can be done by removing a solenoid valve and joining the pipes of the two stations in to one station. More commonly though it is achieved by very easily joining those two solenoid wires together in the same terminal in the retic controller so they both operate at once. Wise to remember though, to then loop out any unoccupied station terminals in the controller so the pump can’t be started without somewhere for the water to flow. Advice on bore connected to retic system. 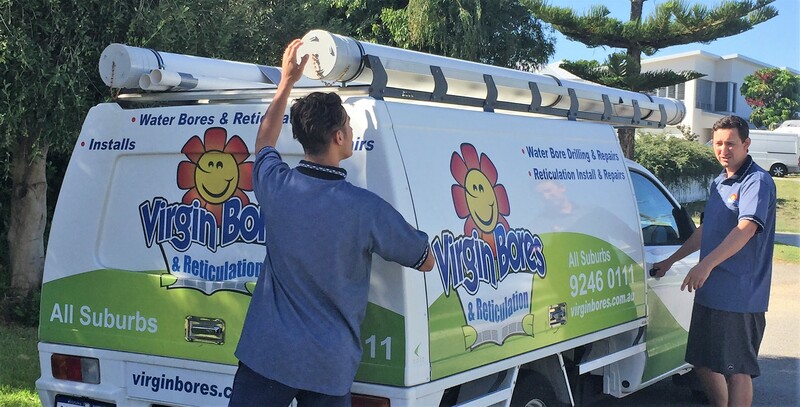 In most cases when a customer gets a new bore installed by Virgin Bores our electricians do the connection and our retic serviceman takes care of the reticulation connection and balancing of stations. 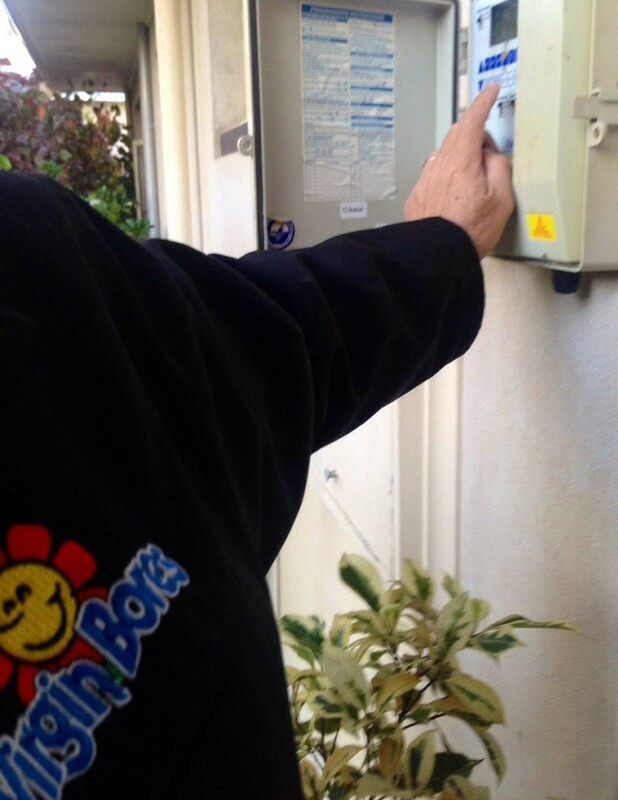 As a one-stop service we then test and “handover” the system to the happy customer. Sometimes client’s elect to organize this part of the work themselves. 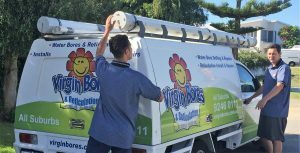 If you, your electrician or reticulation installer needs help or advice give us a call on 9246 0111.